You’ve always wanted to decorate your own hats, or would like to learn additional tips to make the hats you have look even better. 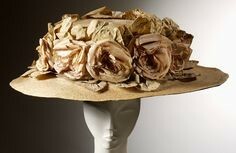 Join SITU at a local Seattle hat studio where Wayne Wichern will guide us in embellishing lovely chapeaux! 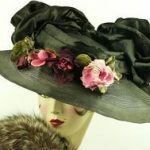 This two-day workshop will give you ten hours of class time with an instructor who can help you with technique, manipulating materials, design ideas, and other aspects of hat embellishment. Come with a variety of materials you’d like to use (Wayne will have a limited supply of additional items for sale that you may purchase.) Learn how to select among them, and combine them for great effect. Class size is very limited. Payment confirms your place in class. See below. Advance registration required. Attendance is limited. Your own lunch/snacks and your own beverage. Thank you so much visiting our registration page today.